When entering a station’s market, you have a plethora of options. 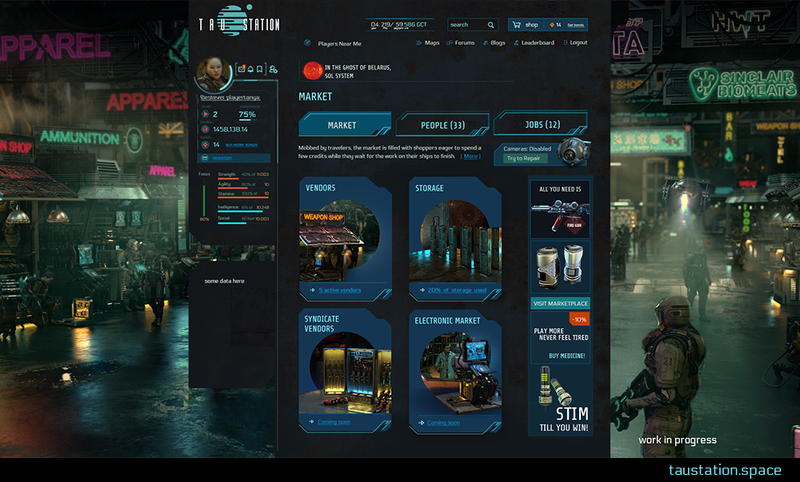 You can either visit different regular Vendors, access and manage your personal Storage, trade with special Syndicate Vendors, or browse the Electronic Market. 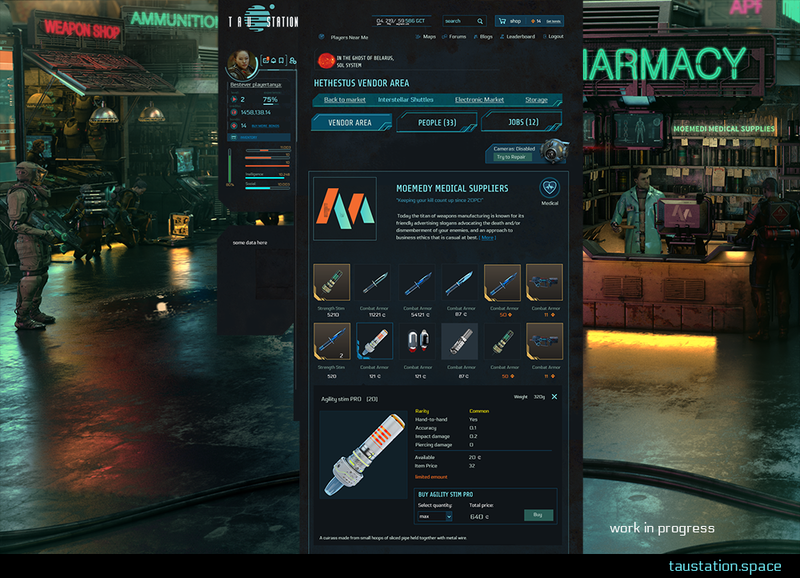 The merchants of every station offer a variety of different items and services such as weapons, medicine, food, repairs and more. The vendors and their offers differ from station to station, but the Market is always the place to be if you’re savvy and looking to score a good deal. When entering the area, an overview enlists the signs of all the boiths you can visit. Category icons indicate what you can expect to find. 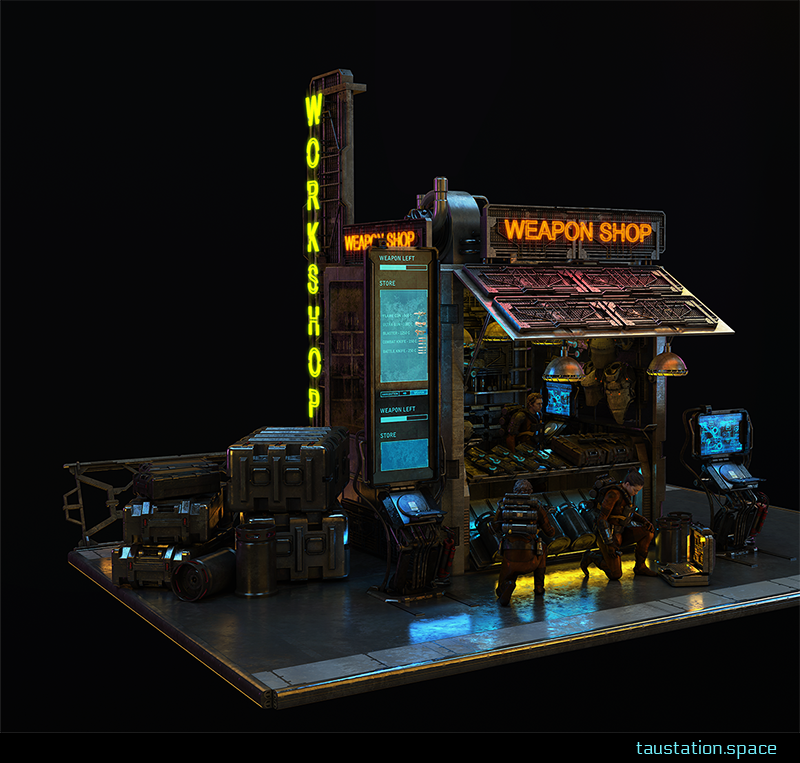 Within any particular vendor’s shop, you can peruse his offers and scrutinize item details to your heart’s content. Be aware that trading skills, reputation, and a number of other factors can have an impact on what you can see or get. Trading, some would say, is the cornerstone of a civilized society and perhaps crucial for humankind to rise back out of the ashes and prosper once more. 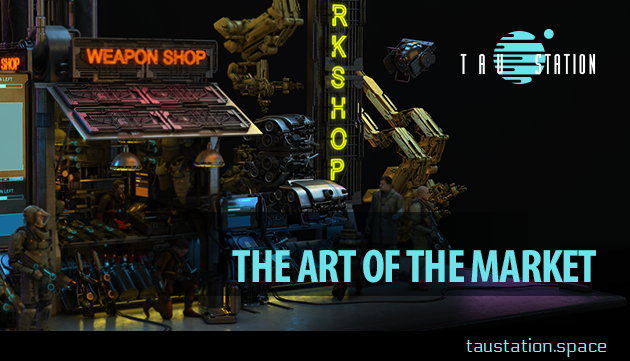 As always, the universe of Tau Station is an ever-evolving beast and our images are subject to change. 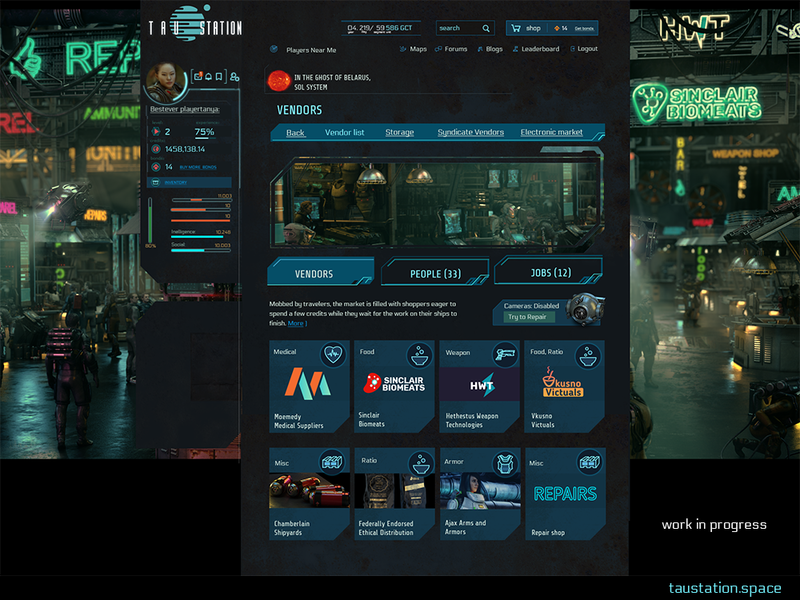 Feel free to head over to the Art and UI section to keep up to date with all of our brilliant art teams latest creations.